When did you decide that you wanted to work with animals? I was born on an Alberta farm, and even though I grew up and went to school in 7 different countries, my parents always made sure I had dog and a horse or a horse was available to me. Horses and dogs have always been a big part of my life and influenced who I am today. Horses and dogs taught me that they are cross-culturally aware, so no matter what country I was in, it didn’t matter to them where I came from, it just mattered that I was kind. In 2017 after 30 years in the Queens Service, I retired, rescued a Thoroughbred named Ebony and knew that healing her issues caused by prior abuse were beyond my kin. So I registered with Guelph University Equine Sciences online studies so I would better know farm management and equine health in order to be able to give her and my other equines the best possible care. It was in one of these classes that I learned about Holistic Animal Studies from another student. My first course was the Equine Kinesiology Taping Practitioner’s course, and I was hooked on this new learning! 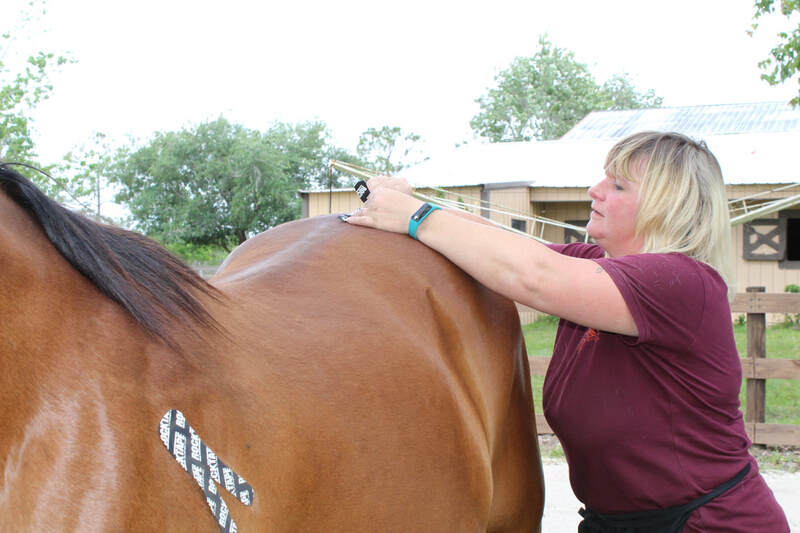 I was and am impressed with the results that kinesiology taping can do for animals and humans. I will always be on a mission to ensure the best health options for my herd. This is not something I just do sometimes. I live it. Everyday. What animal influenced you the most growing up? It really has to be two, because I have never been without a dog, and my dad gave me my first horse, Clea, when I was 4. I had her until I was 10. Instilled in my daily memory is the hours and hours I spent riding through the Crowsnest mountains, just me, my dog and my horse, eating balony sandwiches by the river. They taught me to be still, to listen, to be brave and to always trust with caution, because even your best friends can get spooked, run away and leave you on a mountain to walk down yourself. What makes your animal bodywork practice stand out? First of all, I am Certified by Holistic Animal Studies, so my working knowledge and learning is internationally recognized as high calibre. 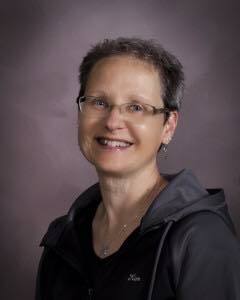 Because of Holistic Animal Studies, I am recognized by the NBCAAM and IFREMT. I also don’t have regular ‘hours’, I take calls in the summer whenever I am needed. Some equestrians are competing all day, so I’ll be there at 9:00pm if that’s when they need me. The most important thing is that I do more than just equine massage therapy. I also do kinesiology taping, craniosacral therapy and CMS. Soon, I will be able to add Reiki to my services. I am a continuing equine education learner, and I will always be on top of what therapy will best benefit the health of the horse! What message would you like to share with potential clients? Healing takes time. Healing takes patience. Healing takes attention. Time, patience and attention is what you need to commit to invest in your horse. What message would you like to share with others who are thinking about pursing a career in animal bodywork? ​There is no reason to wait. Try one of the free previews! Holistic Animal studies wants every student with an interest in animal body work to succeed. Dr. Barbara is always available to answer your questions. Best of all…once you have the course, you have access to it forever. Or you can go back to the Facebook page and ask questions, all your fellow students are eager to assist you! So if you need to go back and refresh information, it’s right there for you. They offer affordable payment plans and awesome discounts. In my mind, Holistic Animal Studies takes away the excuses not to pursue your dream and replaces it with achieving the reality of your dream. Dr. Barbara explains through her videos and text downloads in a way that someone with no real prior equine medical experience can learn, understand and apply. Side Affects: taking these courses lead to learning addictions, improved self confidence, can lead to a financially successful career, cause permanent happiness and will result in animal hair to constantly be on your jacket. When did you decide that you wanted to work with animals? I feel like I always knew I wanted to work with animals and specifically horses, since I was a little girl. What took me the longest was figuring out how I was going to make actual income doing so! I am a very technical person and love anatomy and alternative/complimentary therapy so instead of riding clinics I started taking clinics for things like equine osteopathy. I've always been a big animal advocate so working with the health of animals was an absolute natural fit for me. What animal influenced you the most growing up? Definitely the horse. Although I didn't have my own horse until I was 20, I have always had an unexplained natural attachment to them since I was a toddler. I would read any book I could about horses, ride whenever the opportunity presented itself, and always knew my life would revolve around them somehow, and now it absolutely does! What animals do you currently own? I have two cats (Batman and Sniper), three dogs (Boo, Paisley and Grizzly), four horses (Tuesday, Shotgun, littlebit and Ticket), two miniature donkeys (Patron and Paloma), and also seven step-horses (I run a small boarding facility as well!). What makes your animal bodywork practice stand out? I personally feel it is my minute attention to detail. I tend to have an eye for tiny signs the horses give us, whether it is a facial expression, a small twitch or tremor, knowing what is normal for each horse, as well as really understanding each individual horse's personality. This attention allows me to quickly observe from a distance when a horse or donkey starts presenting as abnormal. I also feel that my background as an equine first aid instructor really adds value to the prevention and recovery of a horse's ailments. What message would you like to share with potential clients? The most important wish I have for any horse owner would be that they have a deep and detailed understanding of their individual horse's "normal." Whether that is their vitals, eating habits, travelling patterns, sleeping routines, to their warm up habits, how they take a bit, react to being unsaddled, etc - really observing and knowing how each horse ticks can provide an extremely preventative picture of illness or injury that may just be beginning to present as a symptom. 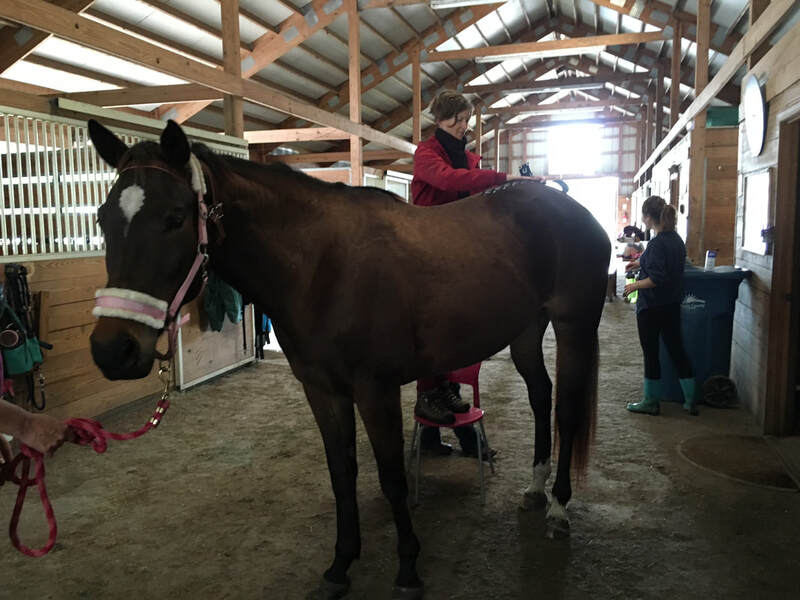 When owners know these key things about their horses, and call us bodyworkers, kinesiology taping practitioners, craniosacral therapists, etc in as soon as they notice a change, we can act as more of a "prehab" instead of rehab. The earlier we can see their horses, the more helpful and preventative our therapies can be. When did you decide that you wanted to work with animals? I grew up with horses and have always wanted to do something involving animals. I worked as a vet tech at a rehab clinic for a while, and realized that I loved doing rehab with the horses; that’s when I decided to get into rehab and bodywork. What animal influenced you the most growing up? Horses! They’ve always been my passion and I don’t know where I would be without them. They’re the most amazing animals, and have shaped my life. What animals do you currently own? I currently have three horses, two dogs, a ferret, and some betta fish! What makes your animal bodywork practice stand out? I would say my practice stands out because of all the different modalities I offer. I’m certified in the bodywork, and also offer Laser therapy, and Theraplate. This helps me offer more treatment options, especially when it comes to rehab. What message would you like to share with potential clients? I always strive to be thorough and in depth with my clients horses. I have a passion for helping the horses be the best they can be, and work hard to give them the best treatments I can, whether it’s bodywork, or rehab! ​When did you decide that you wanted to work with animals? I grew up with horses, and tried many different jobs in the industry (coaching, training, selling equipment, etc.). I realized a few years ago that what I really liked was helping horse-owners make their animals happy and comfortable. So that's what I did! What animal influenced you the most growing up? Definitely horses. They have taught me so much - and continue to. I also love donkeys and dogs. What animals do you currently own? I just adopted a Standardbred that used to race and will now be our zootherapy partner. What makes your animal bodywork practice stand out? I use a multidisciplinary approach (massage, ANMR, kinesiotape, hoof care, nutrition, remedial training...) that enables me to have great and fast results. I am also constantly working on improving my skills and learning new techniques to help the horses better. What message would you like to share with potential clients? I love answering questions so feel free to ask anything! Instead of telling you what to do, I give you my opinion along with all the information you need to make an educated decision. What message would you like to share with others who are thinking about pursing a career in animal bodywork? What message would you like to share with others who are thinking about pursing a career in animal bodywork? Good for you! Here is my advice: before you decide what to do, ride along with animal bodyworkers, and other animal health professionals. You'll learn a ton, and figure out what exactly you want to do. Also make the most of any education opportunity you encounter. When did you decide that you wanted to work with animals? Birth. Honestly by the time I could walk/talk I was bringing home baby birds and other small animals to nurse back to health. By age seven I had my own dog rescue and training- I always wanted to work with animals and improve their lives. What animal influenced you the most growing up? Dogs. I am always amazed by their ability to love unconditionally and forgive horrendous cruelty and still love again. What makes your animal bodywork practice stand out? My wide base of knowledge. I try to take as many courses as possible relating to bodywork but also branch out some. For instance Kinesiology Taping and craniosacral courses I’ve taken from you, but I’ve taken homeopathic courses, & nutrition to supplement my massage and water therapy certifications. No one modality works for every animal I have a huge arsenal to choose from. What message would you like to share with perspective clients? I never give up trying to improve the quality of your animal’s life. Their happiness and health are as important to me as it is to you. When did you decide that you wanted to work with animals? I have always loved animals, for me the hard decision was deciding what direction I wanted to go in, to help animals and work together with them. What animal influenced you the most growing up? My most influential animal in my life is my Percheron cross mare, Luna. She was my learning curve and my realization that I needed to do things differently, from training to lifestyle, nutrition, hoof care, and so much more. I'm still learning! What animals do you currently own? I currently own my horse Luna, but care for many others. What makes your animal bodywork practice stand out? I get a lot of clients telling me they like the name of my practice and that is what attracted them. I have a large amount of knowledge in nutrition, hoof care and lifestyle so I find it often snowballs from a conversation about the previous into bodywork and the benefits it has. I find it so helpful that I can offer clients several types of bodywork within a session, from Myofascial, to Neuro-Myofascial, Craniosacral and Kinesiology taping. Each horse is different and therefore responds differently depending on the day/session to different types of therapy. What message would you like to share with perspective clients? I always tell perspective/new clients that we work together with the horse in that moment. It doesn't matter to me if your horse is young, old, nervous, injured or healthy; the goal is always the same, for them to leave the session feeling better then when we started. When did you decide that you wanted to work with animals? Basically, all my life. As a child I spent a lot of time on my grandparent’s farm. We always had dogs and I discovered my love for horses when I was 38 years old. 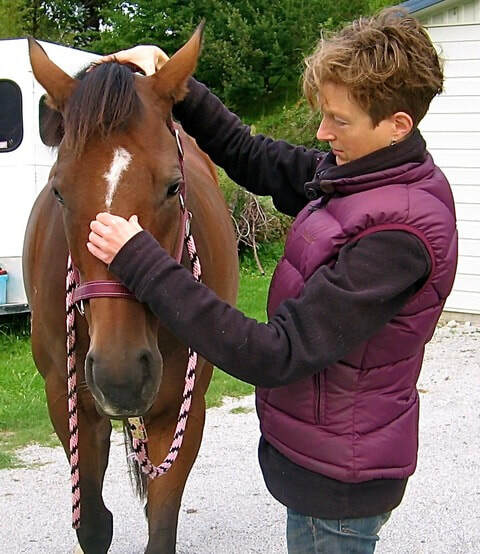 When I moved from Germany to the US about 5 ½ years ago I started working as a volunteer for an equine rescue organization and I learned very quick how beneficial massage can be for not only the physically abused horse but only for the ones that carry scars on their souls. What animal influenced you the most growing up? Many, not only one. From pigs, cows, dogs, rabbits, and birds of different types. What animals do you currently own? I currently own four horses, one of them a three months old filly. I also have two dogs, two muscovy ducks and one rabbit. What makes your animal bodywork practice stand out? That I always try to look at every animal and every case individually. I do my best to listen to the animal besides the diagnosis I am getting from a vet or the observations from the owner. As bad as a lot of cases may appear in the beginning, they often turn out to not be as quite as bad. I take as much time for the evaluation and the treatment, as the patient needs. I allow all the time it takes (or the animal requires), and even though I may not have the answer right away, I certainly do my best to find the best possible solution. I am not afraid to say, if I feel, that I may not be the one who could help a patient. In this case I would always refer to a more qualified practitioner or to a vet or chiropractor. I personally love to work with neglected and abused horses. 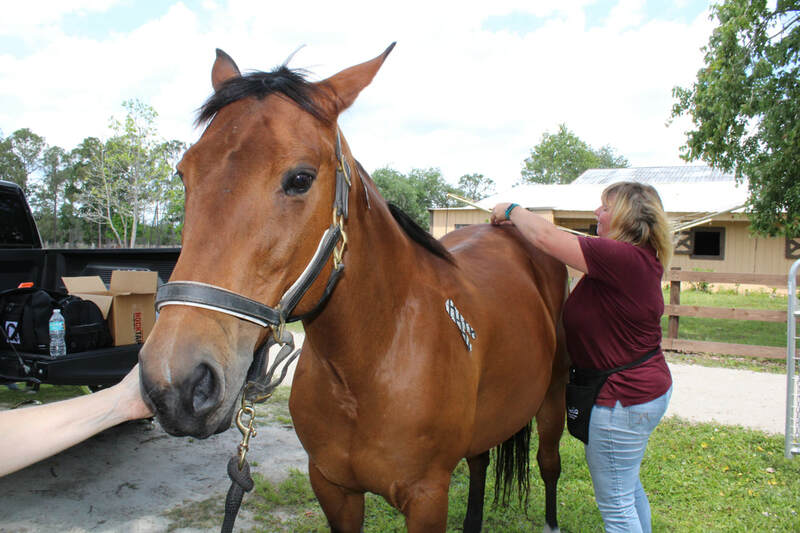 Massage is a wonderful way to earn and gain trust and prepare these horses to find new homes and become a great partner for their new owner. Many times my work makes it possible for a veterinarian to give those animals the treatment that’s so badly needed to turn them healthy horse again. After all, the animal comes first, and healing takes time. What message would you like to share with perspective clients? Be patient with your animal. Never try to rush recovery. I understand that many times all you want is to have your partner back with you in the show ring, but healing takes time and it’s definitely worth to give it some extra time instead of starting practice too soon without the injury being completely healed. Try to be open minded towards alternative treatments. Observe your animal – every little thing you notice is important. And for those who deal with a mentally abused animal – the same goes here – take your time and earn the trust, I can promise you it will be worth the effort and time you take with this animal. You will never have a more grateful friend in the end. What message would you like to share with others who are thinking about pursing a career in animal bodywork? Do it! Don’t hesitate and don’t be afraid to make mistakes. This is how we learn. No matter how old you are – you are never too old. It’s not important when you start, it’s important that you start at all. And continue to learn. There is always something new or maybe different to learn from another practitioner. Sometimes we find a solution at random, when we least expect it. And most of all. Enjoy what you are doing and never give up! The animals will thank you for your effort. Contact Nicole at 478-494-5066 or nicolebeyer271@gmail.com to set up an appointment! When did you decide that you wanted to work with animals? Growing up I always loved being with animals, but I knew that I didn’t want to be a Vet. Much later I realised that there are so many other options of working with animals. Initially I studied Animal Homeopathy, but was missing the ‘hands on’ part, that’s when I got interested in Bodywork options in 2010. What animal influenced you the most growing up? Strangely enough an encounter with a Giraffe when I was still at Primary school and my parents took me to a Safari Park. I remember standing at the enclosure admiring this beautiful creature, when she turned around, slowly but surely spreading her front legs apart, lowering her head down to my height and looking straight into my soul with her mesmerising big brown eyes. It felt like the whole world stopped and we connected for a moment on such a deep level. So special! Apart from that it was horses all the way though. What animals do you currently own? One very special 16 year young black Cat, who plays, hunts, cuddles and drools. What makes your animal bodywork practice stand out? I’ve specialised in Horses for a few years now and love working WITH them rather than doing something TO them. Makes a huge difference if the horse gets engaged and learns to trust and enjoy the experience. Recently I’ve started offering Horse & Rider packages, which is a great way to connect the dots and compare findings in the horse’s and the rider’s body plus the kind of relationship they have with each other. What message would you like to share with perspective clients? You’d be surprised how much more potential lies dormant within your horse. Often riders had no idea that their horse can move so much more fluidly after some Bodywork and regular maintenance work. Horses give us everything they have and are great at covering up pain and discomfort, so would be great if we could do everything we can to take care of them in the best possible way and get fine tuned and observant to pick up on clues that point to discomfort and do something about it straight away. What message would you like to share with others who are thinking about pursing a career in animal bodywork? Start somewhere, find your niche and never give up. Become very clear about your personal ‘why’. Keep learning, growing, working on yourself and enjoy the animals! Most rewarding work if your heart is in it.